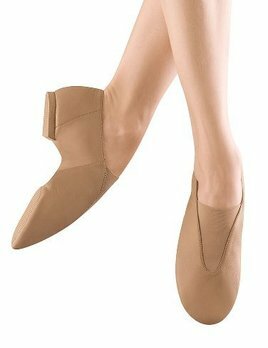 Jazz shoes for adult and you, available from Capezio, So Danca, Bloch, Body Wrappers and more. 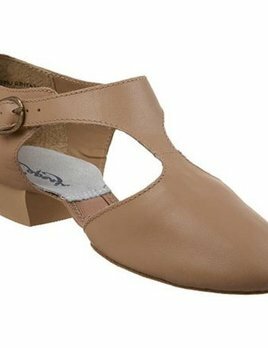 Bloch Neoflex jazz shoe is made with soft and durable leather. 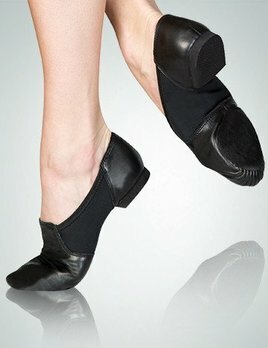 This is a split sole jazz shoe with an arch hugging neoprene insert for maximum support. This is a very popular team shoe. Quality leather, arch hugging neoprene, a low profile, and a very attractive price combine to make this a very popular jazz shoe. Quality leather, arch hugging neoprene, a low profile, and a very attractive price combine to make this our top selling jazz shoe. Children can leave a bit of growing room and still have a nice fit. 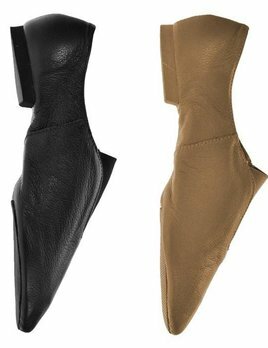 Split sole, slip on, low cut boot with stretch Neoprene insert under the arch. Soft leather upper, rubber sole and heel. This low profile gore boot provides the perfect amount of traction and protection, so you'll have the all the confidence you need to perform your best. The Super Jazz features a full grain soft leather upper and a strong elastic top piece for quick, easy changes. 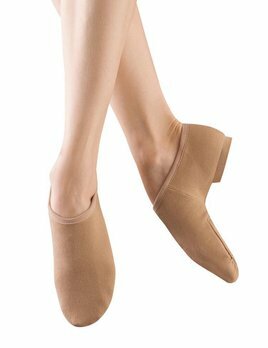 Bloch's Pulse slip on jazz shoe is the perfect competition jazz shoe, reflecting curve of the instep with glove-like fit and low profile. Adult split sole, slip on, leather jazz shoe. Begin with street shoe for sizing. Reflects shape of the foot holding shoe firmly to foot. Combination of suede and rubber outsole allows for spin without slipping. 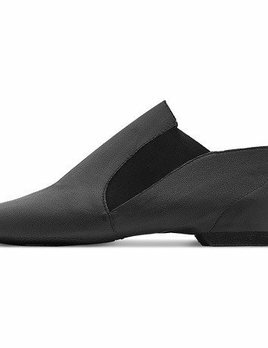 This split sole slip on jazz shoe is made with a supple leather upper with neoprene midsection and a super low heel. With a sock-like fit from toe to heel, this jazz shoe is comfy and efficient. Features a molded heel insole for a better fit and a silicone anti-slippery strap to securely grip the heel. 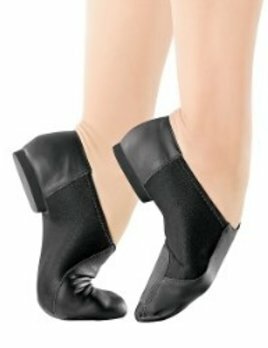 Dancers can move more freely across the studio floor thanks to the extra heel attention and the sock-like, textured mesh. 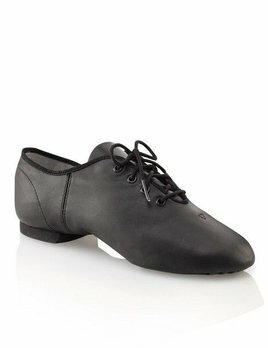 This shoe is similar to the Freeform lyrical shoe, but with a jazz heel and sole. Adult's entry jazz split sole leather oxford shoe. Adult's entry split sole leather oxford jazz shoe. 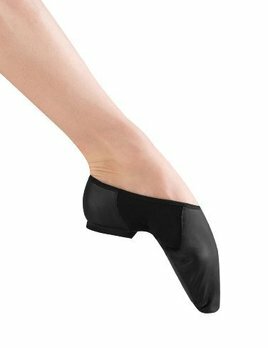 Leather split sole jazz shoe, with elastic sides that wrap around the foot for arch support. 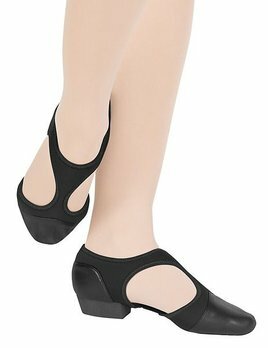 Adult low profile jazz shoe with exquisite heel fit and Neoprene insert under the arch.